Get Ready for the Amped Up Adrenaline Rush of iFly! The very thought of jumping out of a plane, hundreds of feet in the air, scares the bejeezus out of me. You just couldn&apos;t pay me enough money to try skydiving. 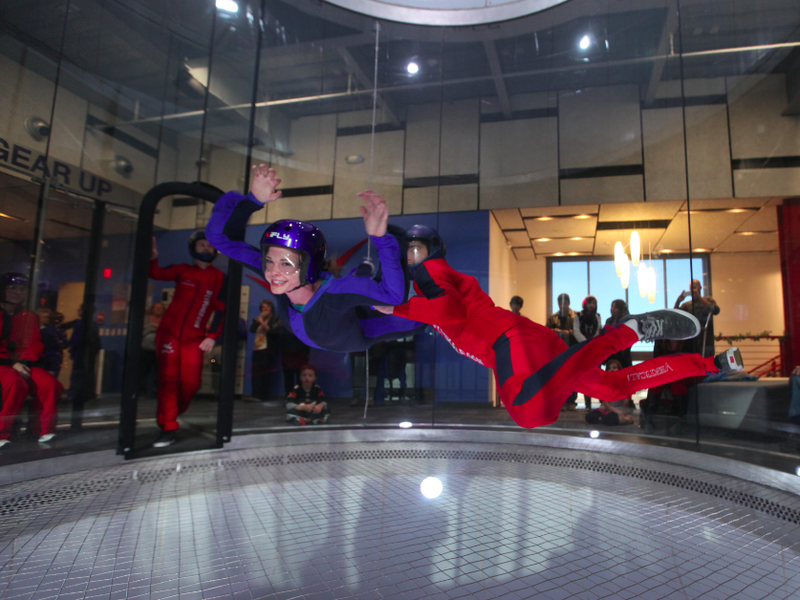 So, when iFLY - Indoor Skydiving came to Frisco, Texas, I was curious. Could it be that I could experience skydiving indoors? Yes, yes it could! As soon as iFLY contacted IHeartFrisco to check out this latest Frisco craze, I knew this was definitely something I could try. iFLY is an indoor skydiving experience that creates true free fall conditions, just like skydiving, without having to jump out of an airplane. iFLY’s 1400 hp vertical wind tunnel generates a wall-to-wall cushion of air on which you can safely float. There’s no parachute, no jumping, and nothing attaching you to planet Earth. It’s just you and the air, and it’s the most incredible adrenaline rush! I have to say, THIS WAS SUCH A RUSH! During my flight I had such an adrenaline rush and I really can&apos;t describe any other experience that can even describe this. I&apos;ve never experienced this kind of mash up of adrenaline, weightlessness, alertness, and just plain fun! You seriously have to try this. Whether you are 3 to 103, you can try iFLY safely! Want to learn more or reserve your flight time? Check out http://dallas.iflyworld.com/ for all the information you need to get flying!